Club History :: Tankersley Park Golf Club boasts a modern, well-equipped clubhouse and a beautifully manicured golf course. Casual visitors, small parties, societies and experienced golfers will appreciate this course and be treated as members for the day. Historical Photograph Gallery These photographs show the first hole in 1949 after opencast mining when the course was reinstated, and today. In 1949 there was almost a total absence of trees. Had the fairway bunkers just been built? The trees in the distance at centre are probably those between the ladies 8th tee and the 4th green. There are some old trees between the service road and the present thirteenth tee, and one or two to the left of the first green. 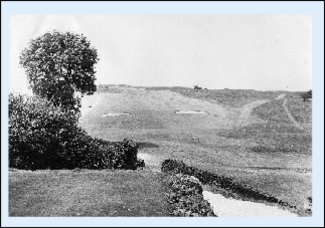 Compare this with the present day photograph taken from the front of the fourteenth tee. One Hundred Years of Tankersley Park Golf Club. 1907-2007. 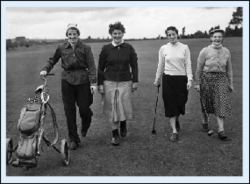 ​Tankersley Park Golf Club’s Centenary celebrations commenced with an evening slide show and over 300 images which were taken over the first era of the golf club. It was great to see characters like Arthur Anderson and David Hulley return to the club for this event, and David in particular was keen to link pictures on the screen to stories, names and faces from the past. Doreen Barraclough and Pat Greaves helped out with the names on the many photographs collected over the years by the Ladies section. 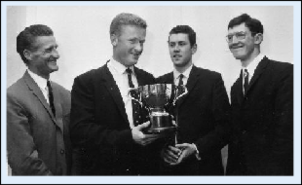 Alan Taylor had obviously spent many hours researching the history of the club and his insight into the life and times of our deer park were complemented by the anecdotes of Dennis Pink about the more recent past. It is important that these memories should be treasured and we hope that the writing of the history of Tankersley Park Golf Club will reveal more of the fascinating story of how this oak forest turned baronial deer park under the ownership of Earl Fitzwilliam, became a beautiful eighteen-hole golf course. After the deer were shooed away the land underwent a temporary transformation to a mining site. Bell pits were worked for many years by the local miners, whilst their “ginboy” sons led the ponies that turned the windlasses. 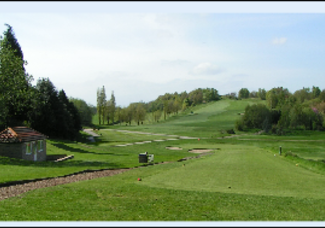 Tankersley Park Golf Club is now owned by the great grandsons of those ginboys, and after the purchase of the club by the members in 1982, the course has undergone steady improvement to the excellent standards we see today. The giant oak trees are long gone, but now silver birches, pines, hawthorns, sycamores, maples, willows, cedars, redwoods, and many other species have joined the new oak saplings that help to line our fairways. It was obvious from the comments of the members leaving after the show that many had thoroughly enjoyed their trip down Park Lane with their memories. Flora Goddard, Harold West, G.G. Ibbotson, Arthur Storey, Peter Tupling and Penny Grice, T.C. Dawson, Jack Cooper Sen. scoring four holes in one in eight days (two doubles! ), the Ken Bird photographs which helped to bring to life the Newton Chambers images of the opencast era, the Folly and the other Follies, Billy Casper, coal bucket lines, Churchill Tanks, Master Cutlers, the M1 motorway, new houses, old halls and cannon balls, and the Tankersley Oak. So many events brushed over in three short hours. We can be justifiably proud of our club and I look forward to the future with real optimism. Our centenary celebrations went extremely well even though we had some very inclement weather. Special thanks must go to Judith Buttons, Maggie Davies and Amy and her staff, but thanks go out to all who came along and contributed in any way. Nathan and Jordan were there to help point the way to the future! Who knows what changes we will see in the next hundred years? My footnote to this event is that as a boy I was given a copy of the Thirteenth Edition (maroon binding) of the Guinness Book of Records, an heirloom I possess to this day, and on page 294, I read again today that, “The longest hole in one performed in the British Isles is the 5th (380 yards) on Tankersley Park Course, near Sheffield, Yorkshire, by David Hulley in 1961″. This shot held the record until 1972. 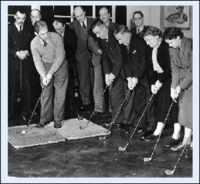 David Hulley has offered to donate the ball he used for this historic shot, to the golf club. Our grateful thanks go out to him for this splendid gesture, and the ball will be added to our trophy cabinets. Our thanks go to Mr. W.J. Barraclough who actually found the ball and took it from the hole after several frantic minutes spent searching for it around the green.